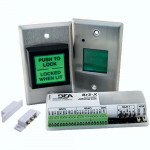 CR3000 Cal-Royal Electronic Push Button LockMeets The Buy American ActMeets or exceeds BHMA / ANSI A..
DescriptionBEA’s Restroom Kit is a one-box solution designed for both normally locked and normally u..
Alarm Lock DL2700 Trilogy T2 pushbutton cylindrical lock,electronic battery-operated with key overri..
Alarm Lock DL3000 Standard Key Override is an advanced digital electronic door lock with audit trail..
Alarm Lock DL2800 Standard Key Override is a Trilogy Electronic battery-operated Weatherproof standa.. 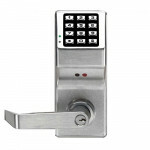 The Alarm Lock DL 2700WP Weatherproof Key is a Trilogy T2 Electronic battery-operated standalone dig..
DL5200 Alarm Lock Trilogy Double-sided keyless lock Electronic Lock with Programmable keypad on both..
DL3200 Alarm Lock Trilogy T3 electronic pushbutton high capacity audit trail lock w/key overrideIn a..
DL4100 Alarm Lock Trilogy T3 electronic pushbutton lock, high capacity audit trail w/key overr.. 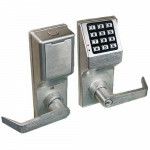 The Alarm Lock DL 2700IC Interchangeable Core is a Trilogy T2 Electronic battery-operated standalone..
PDL3000 Alarm Lock pin# or proximity cylindrical lock with key override - PIN/Proximity Cylindrical .. 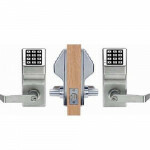 The Alarm Lock DL 2700IC C Corbin Russwin Interchangeable Core is a Trilogy T2 Electronic battery-op.. 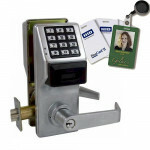 The Alarm Lock DL 2700IC R Sargent Interchangeable Core is a Trilogy T2 Electronic battery-operated .. 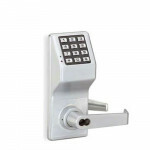 The Alarm Lock DL 2700IC S Schlage Interchangeable Core is a Trilogy T2 Electronic battery-operated .. 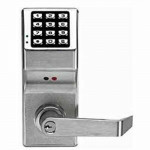 The Alarm Lock DL 2775IC S Schlage Interchangeable Core is a Trilogy T2 Electronic battery-operated .. 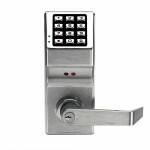 The Alarm Lock DL 2700IC Y Yale Interchangeable Core is a Trilogy T2 Electronic battery-operated sta.. 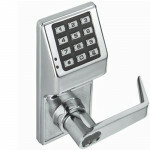 The Alarm Lock DL 2700WPIC Weatherproof Interchangeable Core is a Trilogy T2 Electronic battery-oper.. 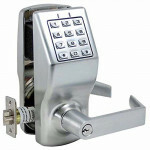 The Alarm Lock DL2800IC Interchangeable Core is a Trilogy Electronic battery-operated Weatherproof s.. The Alarm Lock DL2800IC C Corbin Russwin Interchangeable Core is a Trilogy Electronic battery-operat.. The Alarm Lock DL2800IC R Sargent Interchangeable Core is a Trilogy Electronic battery-operated Weat..